But tah-dah! In steps Lord Sri Krishna, the divine ruler of Madura. He heroically slayed the demon in battle, rescued the girls AND recovered the earrings! (Horray!) On Krishna’s return, the kingdom was in complete darkness as it was the night of a new moon. To celebrate the victory and welcome Lord Krishna, the people lit lamps. The second tale is about Ravana, the ten-headed demon king who kidnapped the wife of Rama. (Hey! What’s up with these small-minded demons anyway?) After 14 years of exile Rama returns to his people, violently strikes down the demon in battle, rescues his wife, and returns to be crowned king. (Yay!) As Rama and his wife returned in the dark of night, people lit their houses to celebrate his victory over evil (light over darkness), thus The festival of Lights. What to people to during these five days of festivities? Diwali celebrations vary in different communities, but its spiritual significance is “the awareness of the inner light and knowledge”, thereby the burning of the oil lamps, the dipas. 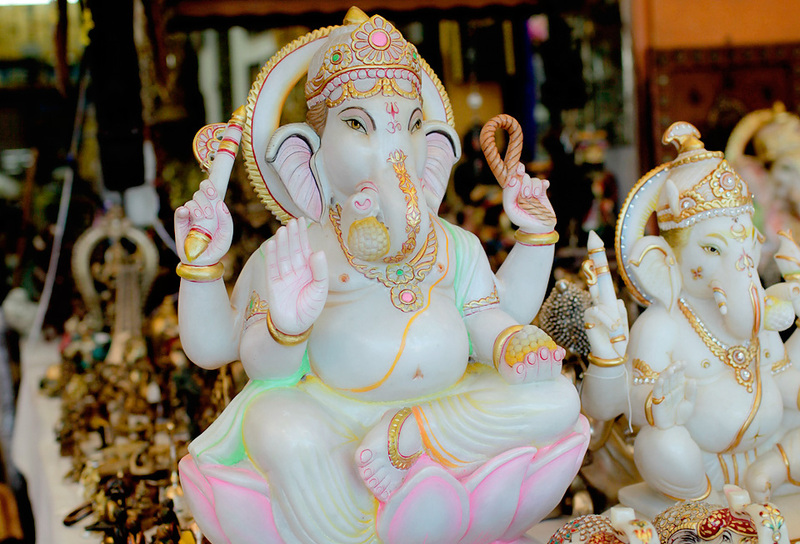 Cleaning and redecorating your home is important, not only as a cleansing ritual to get rid off unnecessary elements, but it is also believed that Lakshmi, Goddess of happiness and prosperity, roams the earth and enters the house that is pure, clean, and bright. The entrance of a house is often decorated in colourful rangoli designs. And oh, girls-did we mention that you get to eat yummy treats and go shopping for new clothes and jewellery?! The Singapore festival is held in Little India, the home of the Indian community, whichs forms about 9 % of our population. 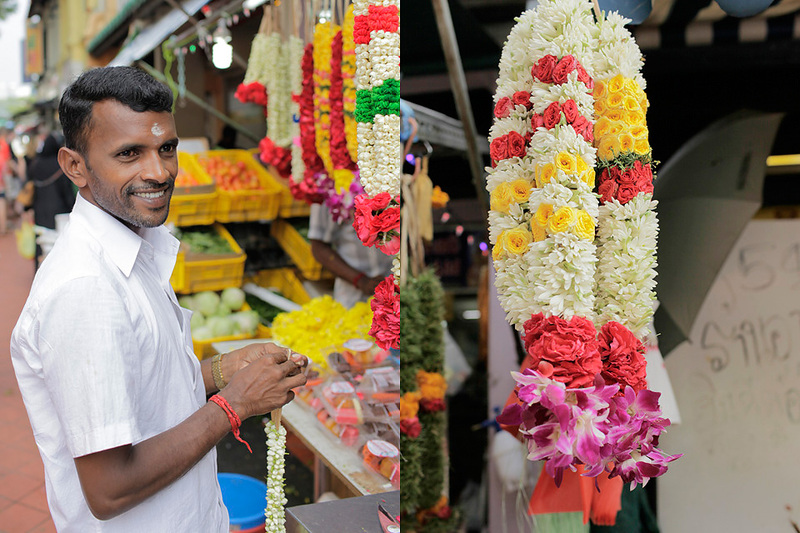 There is always a very vibrant and culturally authentic atmosphere in Little India, but during the festivities this historically rich enclave is literally an explosion of bright lights and abundant colours! Impressive bazaars and numerous cultural activities such as the Indian Heritage and Craft Exhibition, Street Parade and Countdown Concert take place. 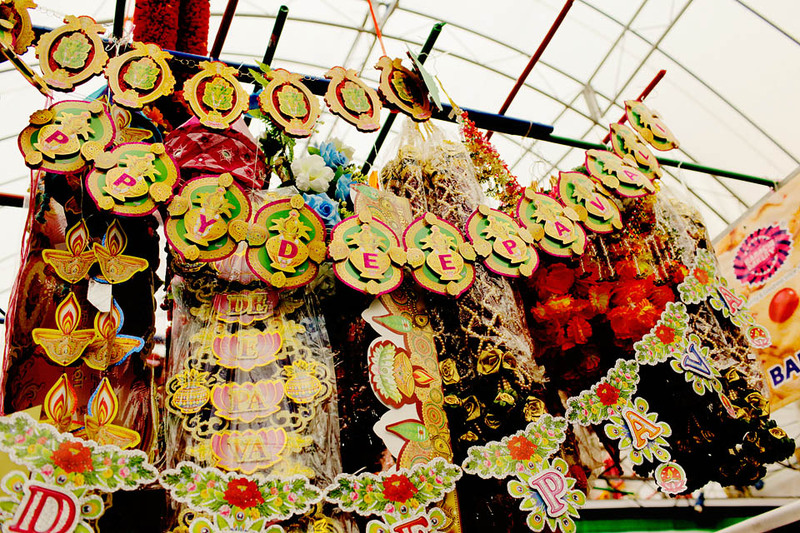 The festive stalls are tradtionally decorated with wares such as fragrant flowers, prayer garlands, oil lamps, intricate beautiful saris and kurthas and glittering gems! An abundance of Indian delicacies, such as kulfi, jalebi and pongal can obviously also be found during the celebrations. One traditional way to celebrate Diwali in Singapore is to have your hands painted with henna art. These gorgeous tattoos are often done for a small fee and will last a few days days. Straits Canopy will take in the sights, sounds and pungent fragrances of Diwali at a coffeshop along the street, and simply bask in the delightful richness of Indian culture and have a taste of it’s amazing specialities! Will you join us on Serangoon Road?